The Lagos State governorship candidate of the All Progressives Congress (APC), Babajide Sanwo-Olu, and the Peoples Democratic Party (PDP), Jimi Agbaje, will face off in a governorship debate on January 14, 2019. Eight other governorship candidates will be involved in the debate organized by the Lagos West Diocese of the Anglican Communion. According to a report by Sun News Online, this was disclosed by the Bishop in charge of Archbishop Vining Memorial Church, Rt. Rev. James Odedeji, who said the debate will take place at the church. He disclosed that candidates will be afforded the opportunity to tell Lagosians their plans on social services, taxation, economy, as well as the fight against corruption among others. He said, “It is solely organized and funded by the Anglican Diocese of Lagos West, in collaboration with the Diocese of Lagos, Badagry and Lagos Mainland only. He revealed that the church wrote letters of invitation to all governorship candidates but only 10 have responded to express interest. “We want to use the debate as a platform through which voters can access all the candidates and make an informed decision on whom to vote for,” he said. The battle to become the next Lagos governor in the March 2 election is primed to be a showdown between Sanwo-Olu and Agbaje. 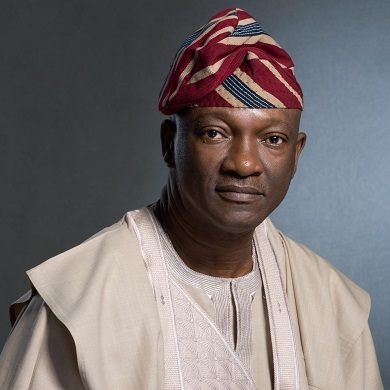 Agbaje lost the 2015 contest to the current governor, Akinwunmi Ambode, who lost his second term bid to Sanwo-Olu last year.